Zimbabwe is currently in a state of upheaval as it is facing a national shutdown organised by anti-government citizen groups and human rights activists, which in return resulted in the crackdown of the government on its opposition and the shutdown of internet access to the country. We can observe the opposing forces of action vs. reaction at play here, but is there a way to discern one or more root causes to the current chaos? Let us try to explore by first taking a step back and see what we can learn from Zimbabwe’s recent history. 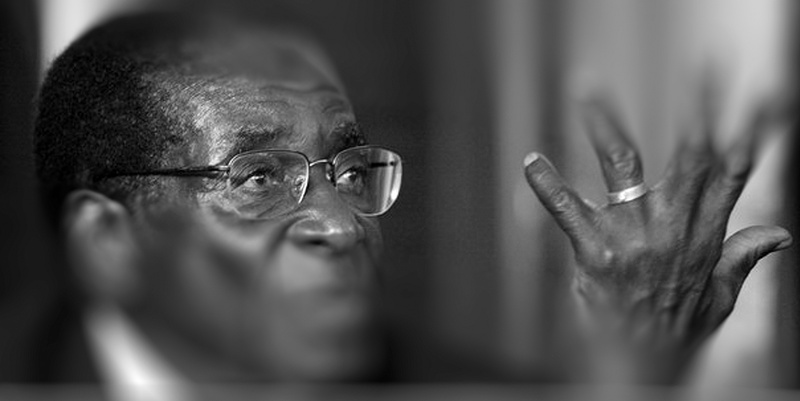 Amidst recent social upheaval, internet shutdown and government crackdown we tried to find an answer to the question whether Zimbabwe’s current woes are the product of former president Robert Mugabe’s ghost still lingering in the battered country. For this we delved into the country’s recent history ending up interviewing the leader of the Tajamuka social justice movement, Mr. Promise Mkwananzi. Take your time for this lengthy read and very insightful interview we had with Mr. Mkwananzi. Every man got the right to decide his own destiny, and in this judgement there is no partiality. No more internal power struggle, we come together to overcome the little trouble. Soon we’ll find out who is the real revolutionary. The country’s first independent elections were won by Mugabe’s ZANU-PF party with 60% of the vote, after the ZANU and ZAPU mililtary allies (as well as political rivals) had merged under Mugabe’s ad-interim leadership. Previously the country had temporarily returned to British control as the elections were held under British and Commonwealth supervision in March 1980. ZANU-PF won the election and Mugabe became the first Prime Minister of Zimbabwe on April 18, 1980. In November 2017 a soft booted coup d’etat expelled Mugabe from 37 years of leadership. Mugabe resigned both as president and as ZANU-PF leader thus avoiding being impeached whilst allegedly receiving a 10M US pay-off for him and his family. Emmerson Mnangagwa, who had previously fled to SA, returned to Zimbabwe to assume the presidency. He secured his first full term as President in the July 2018 elections with 50.8% of the vote. On the eve of the election, July 29, 2018, Mr. Mugabe made a surprise press conference where he stated his wish not to vote for President Mnangagwa and ZANU-PF, the party he founded. Instead, he expressed his wish to vote for his long time rival party, the MDC of Nelson Chamisa in what was possibly his final public political act. My personal view is that these sanctions over the years created a very convenient scapegoat for the ruling party, because they are able to explain away the economic mismanagement by pointing to the sanctions as the problem that is prohibiting them from delivering on the economic front. They have couched that narrative very well and very effectively by stating that every problem in the country is caused by the sanctions that were instated by the US and UK governments against Pres. Mugabe and now Pres. Mnangagwa. The reality is that these are measures targeted against particular individuals and indeed if ZANU-PF were patriotic enough or really wanted these sanctions to be lifted, I think that the conditions for the removal of sanctions are quite achievable and very reasonable - and good for the country. I don't see why the ruling party, Mr. Mnangagwe and his government are not able to implement the benchmarks that we set out by those who put up these targetted measures. The benchmarks mainly speak to the issue of human rights, implementation of and compliance to the constitution, free and fair elections, multiplicity and openess of the media. On the contrary, we've seen the government actually banning social media, brutalizing people, etcetera. It is exactly those things the sanctioners say are the reason the sanctions were put there in the first place. A: Mr. Mnangagwe has already been given sufficient time. When he emerged through the coup of November 2017, I think that the people of Zimbabwe gave him sufficient time, good will, support and sufficient benefit of the doubt. Between that time and the elections [of July 2018] there a quite a number of things - that don't need even any money - which Mr. Mnangagwe could already have corrected, but he did not. Indeed we have been vindicated; the bond note has not been successful. It continues to negatively affect the economy, distort our currency, distort the value of money, creating unnecessary confusion. We believe that if the government is sincere in its operations, it must scrap the bond note with immediate effect and return to the US dollar or take up the South-African Rand as the temporary currency, while the solution is found to the [economic] problem. If so, then it appears to be that the government is skimming of cash from its own citizens, without proper cause - like for instance the US and other governments did by issuing war bonds during World Wars 1 and 2, in order to finance the war expenditure. So does Mr. Tsvangirai [founder of the MDC] forever remain the founding father of opposition politics in Zimbabwe. These are the national 'fathers' of our country and Mr. Mugabe is one such figure, perhaps the biggest of them all. He will remain a factor in poltics not just of Zimbabwe but of Africa in general.